New and more advanced Numlex NPCDB version 3.x is ready to be implemented in your country. More power. More functionality. Interaction with consumers. You shouldn't wait for tomorrow. All you need is to send us a request and we will contact you. is a next-generation number portability solution with unique benefits, created in accordance with the practical needs of operators and national regulatory authorities. Providing smart, modular, reliable, safe, flexible, and for these reasons, easy-to-integrate solutions, NUMLEX caters for the various requirements of each country’s regulations. Number based solution! Possibility of splitting the process using separate numbers and/or storing history for each number separately. Different processes with their own validation rules, timers, numbering and users are automated on the same platform for different time zones and regions. Usefull reports and powerfull graphical visualization of the process for better understanding by users. Load control functionality takes care about the amount of porting requests operator can manage per day. The ability to schedule a maintenance window for any period and at any time by reconfiguring the scheduled porting requests to the nearest possible time. Ready to be configured even on a production system, so that there is no need for redevelopment. The synergy of visualization of processes and forced porting allows testing NP procedures simply, shortly and smoothly. Possibility of easily dropping numbers from the ongoing request without the need of cancelling it entirely. An App is available for consumers to initiate and control their own portings. It is new and most attractive way to make portability processes efective. 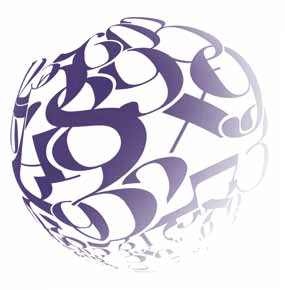 Use of customer data encryption increase operator’s satisfaction. This functionality prevents from losing the big amount of personal data for which they are responsible. Numlex supports the prioritization of processes. For example, a government with a higher priority can reschedule all requests for residents and businesses. The NUMLEX system is very scalable product, which consist of separate functional modules. Each module is responsible for a dedicated functionality. In addition to the basic NUMLEX functionality it can be easily extended using API. NUMLEX provides the convenient tool for efficient numbering plan management. This flexible, easy configurable and user friendly facility is designed for the communication regulation authorities as well as for operators and is included as the separate module in to NUMLEX WEB GUI. 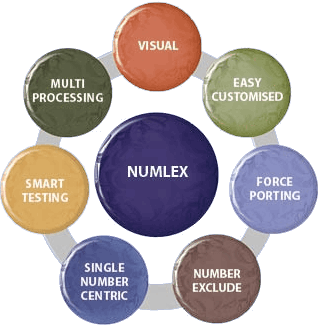 NUMLEX is process based system for developing and operating of very complex processes of Number portability. Today solution is a unique tool combining flexibility and performance. A set of the processes for several different porting scenarios is created. Each scenario is well tested for different external factors like specific requirements from the regulation authorities or from the operators. Several totally different NP scenarios can run on the same system without any interference and can be easily combined later to get one common solution (mobile portability MNP, fixed portability FNP, and combined portability- MNP-FNP).